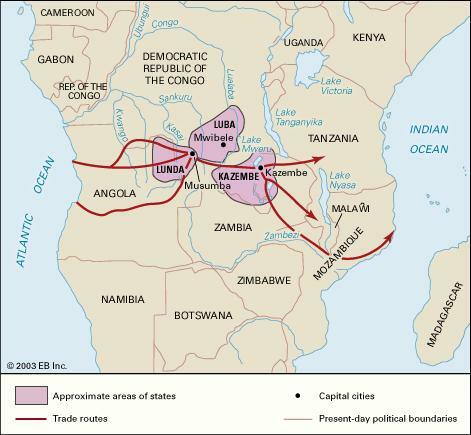 West-Central Africa is the single embarkation region where the biggest number of African slaves were exported from to almost all destinations within the Americas. See map below (which features data for all of the Americas) and also the Slave Voyages Database. 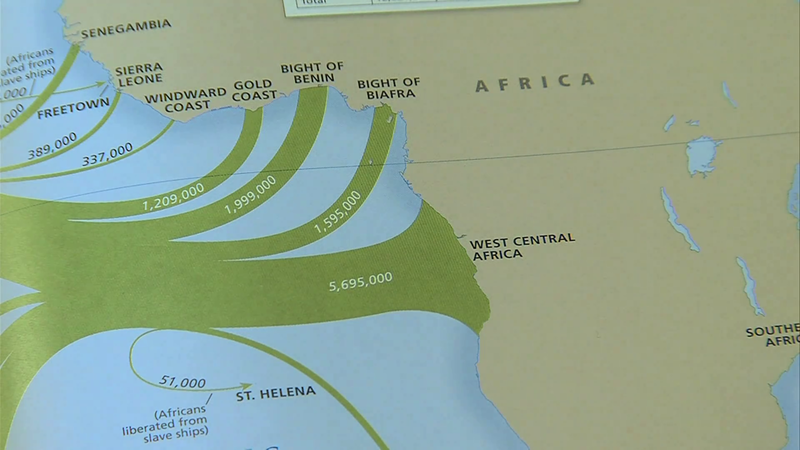 Practically all of the slaveports were located along the Angolan & Congolese coast but many captives were also transported via the Congo river from further inland. 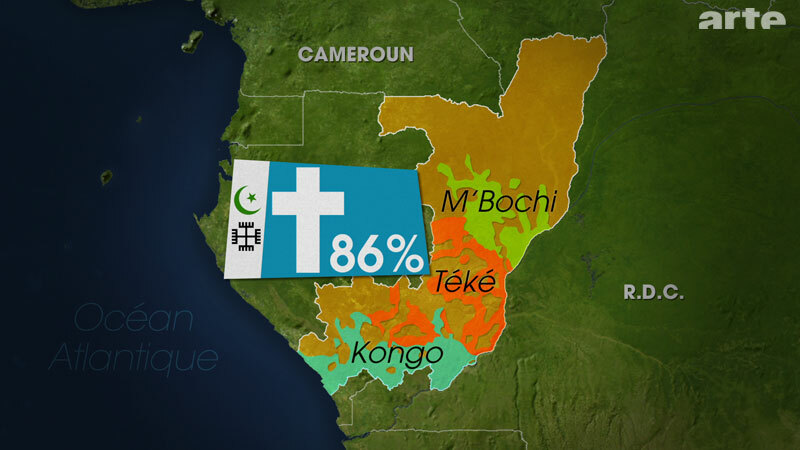 Central Africa is still relatively unknown among the general public despite its big genetic and cultural legacy among many Afro-descendants. It doesn’t really help matters that there’s also two Congo’s 🙂 The Democratic Republic of Congo (DRC) and the Republic of Congo. 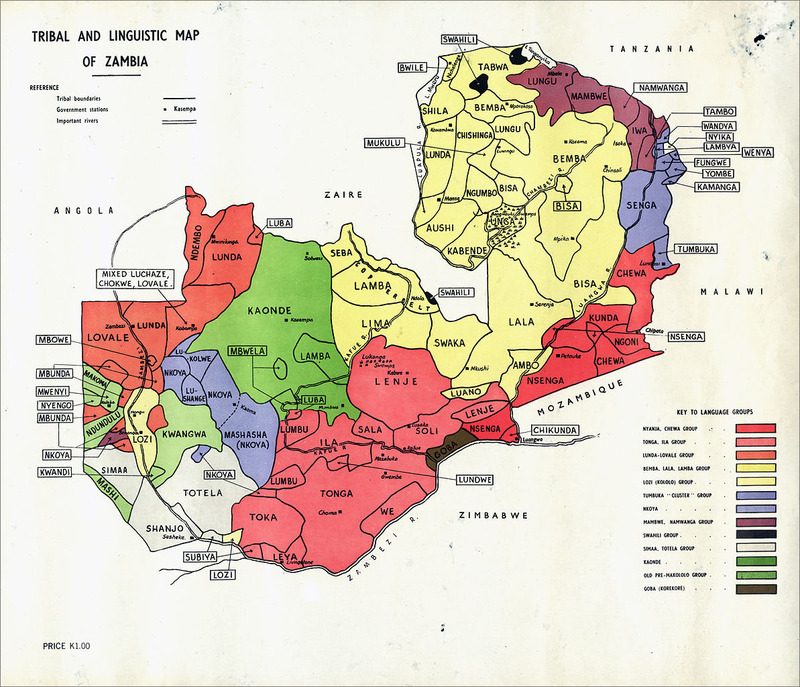 Generally when i use the term Congolese it will refer to both countries but whenever i need to make a distinction i will refer to the first one as simply DRC and its smaller neighbour as Congo Brazzaville. 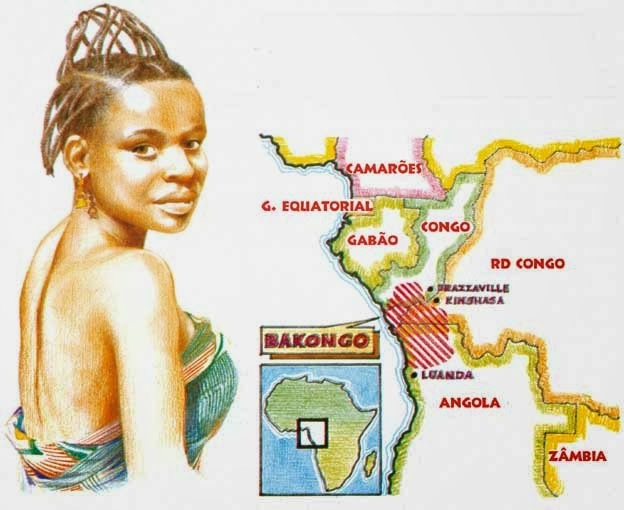 When referring to the historical kingdom of Kongo or the ethnic group of the Kikongo speaking Bakongo specifically i will use “Kongolese” to avoid any misunderstanding. 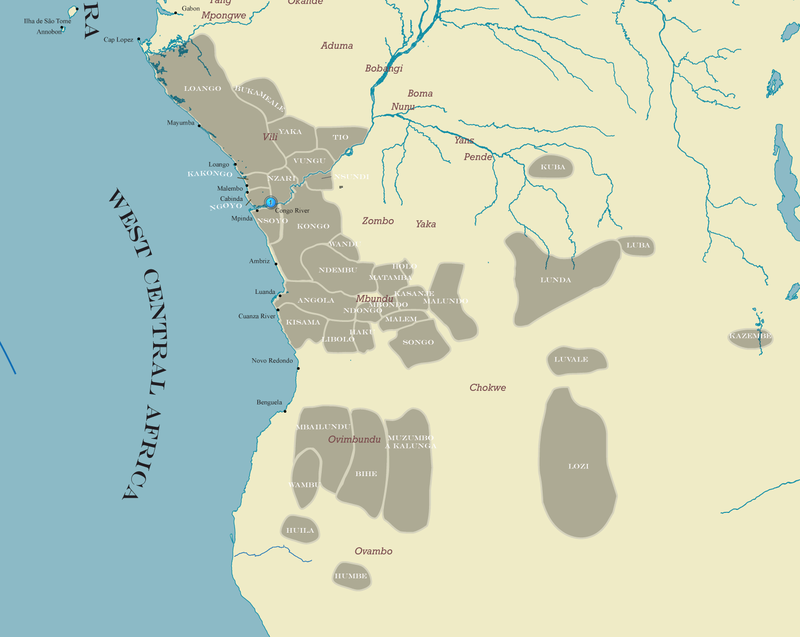 The Kongo kingdom, centered in both Congo’s and northern Angola, is well known for its early relations with the Portuguese. It was one of the first African kingdoms to convert to Christianity and unfortunately was also engaged in slavetrading from early on. Most of the 16th century trade in Kongolese captives passed through the island of São Tomé. 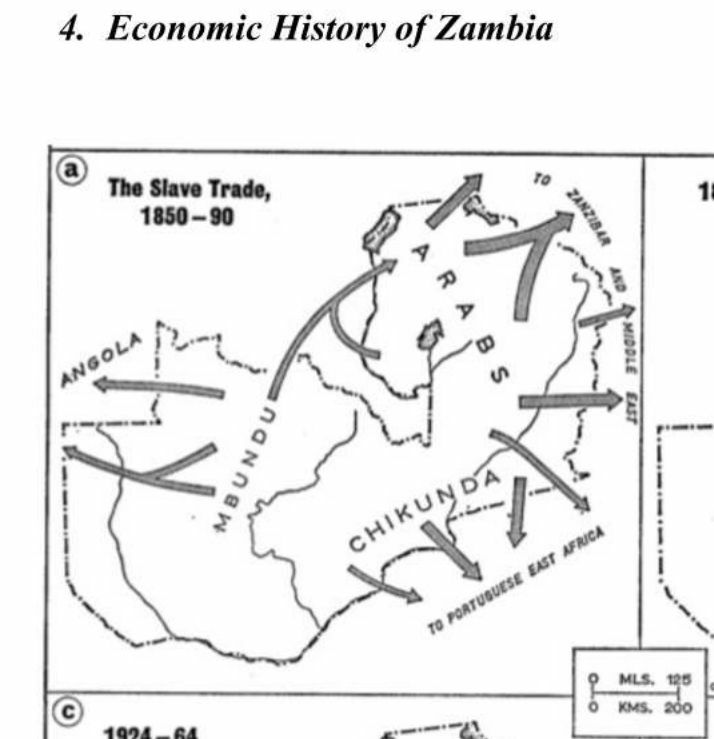 Later on (late 1500’s) the Portuguese slave trade relocated further south to Luanda/Angola where they made their own settlement and started to trade mostly with Mbundu kingdoms from the Angolan interior. 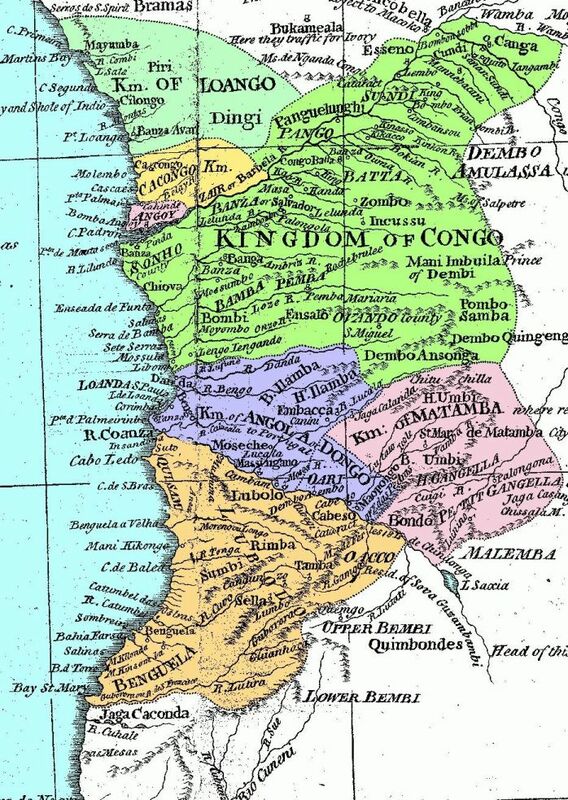 Along the Congolese coast reaching into southern Gabon in the late 1600’s and throughout the 1700’s/1800’s also the Loango Kingdom (a breakaway province of the Kongo kingdom) became a preferred trading spot for many European slavers from France, the UK and the Netherlands. These distinct slave trade patterns for each European country had implications for which ethnic groups ended up being taken to their colonies. 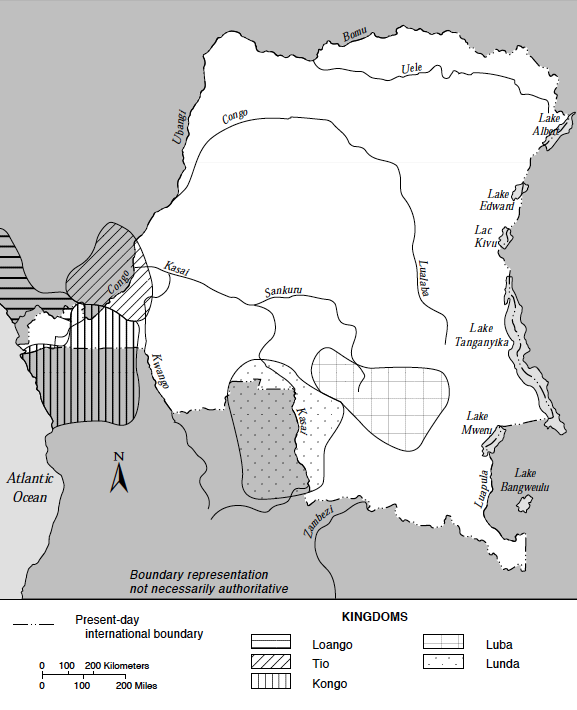 The principal inhabitants of the Kongo & the Loango Kingdom were Kikongo speakers or Bakongo (they do have various subgroups). 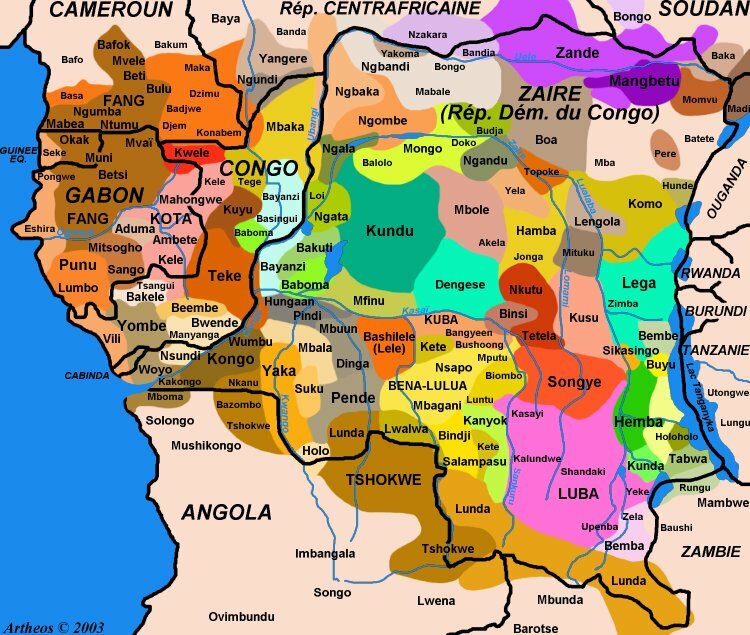 According to Wikipedia they are 12 % of DRC’s population (72 million, all ethnic groups together); 13% of Angolan population (24 million, all ethnic groups together) and compromising no less than 48% of the population of Congo Brazzaville (4,3 million, all ethnic groups together). 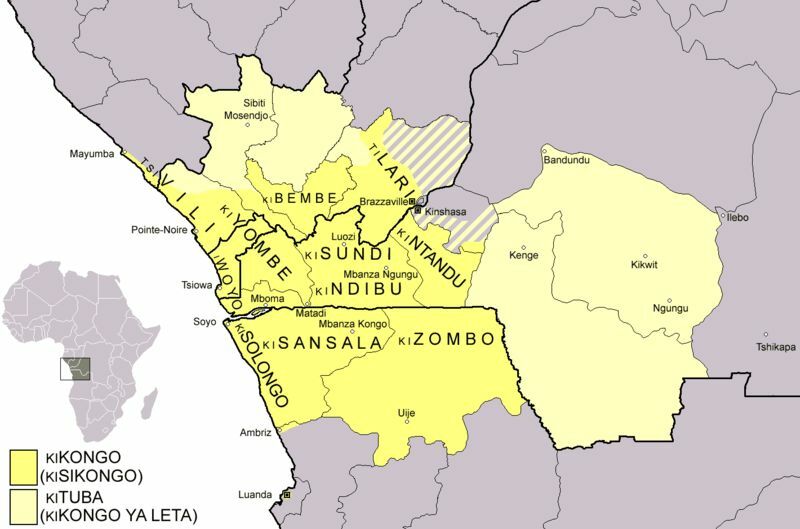 The Bakongo seem to be most numerous therefore in DRC. 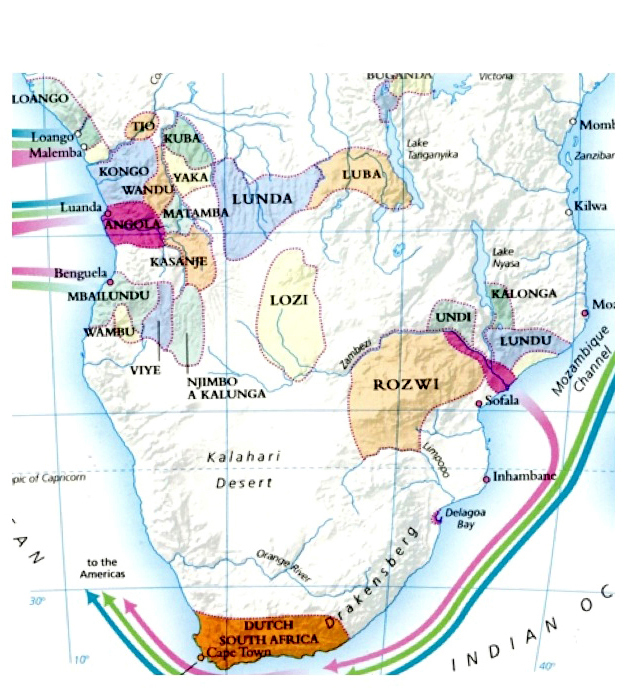 These maps demonstrate how also kingdoms located far into the interior were connected with the Trans Atlantic Slave Trade via overland routes to either Angola or Mozambique. 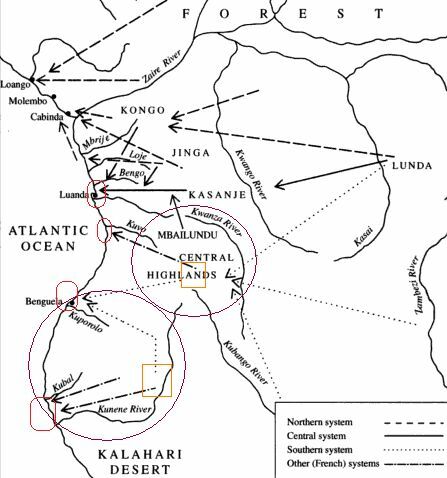 Even when not shown on the maps i suppose the Kongo and Loango kingdoms would also have trading connections with these interior kingdoms, or others located more to the north. Because many Central African slaves were exported via the Kongo kingdom they tended to get lumped together under the single name of “Congo’s” despite often having different ethnic backgrounds. Still they developed a collective identity in the Americas, it is assumed because they were culturally already quite close to each other. 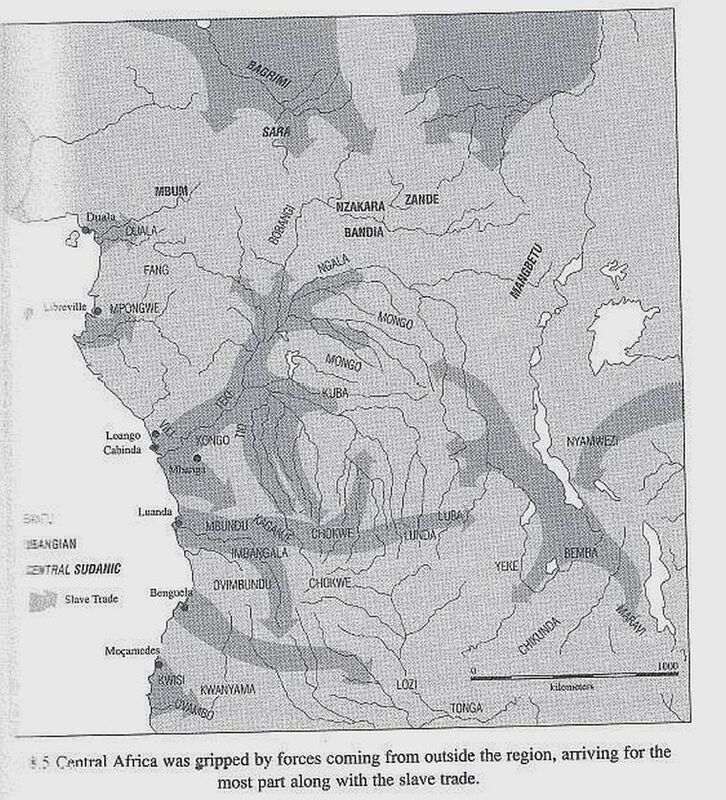 It is also assumed most of them would have been Bakongo but as these maps below show many more neighbouring ethnic groups could have been caught up. If you click on the first map you get to see it in greater detail and you can also see the principal slave ports. 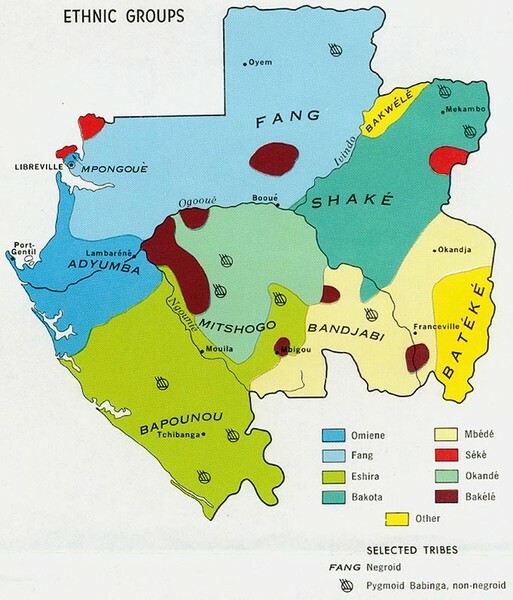 Generally the ones north of the Congo river were used by the English, French, Dutch and also Americans after 1776. Source: HYWEL DAVIES (1971), p.40. 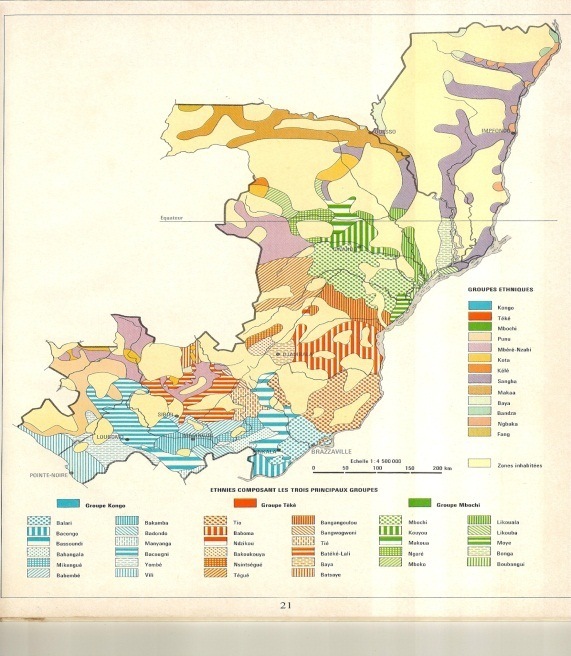 Congo Brazzaville’s coastline used be at the heart of the Loango kingdom. Many captives were shipped away from here to the USA and the West Indies by the English, French and Dutch. 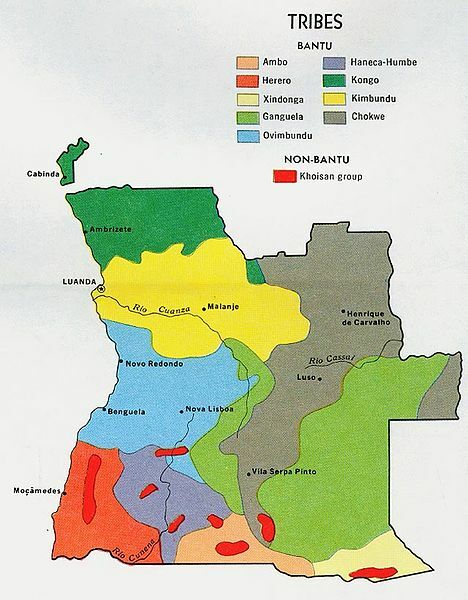 But most of them could have originated from much further inland, also outside of Congo Brazzavilles’s presentday borders. 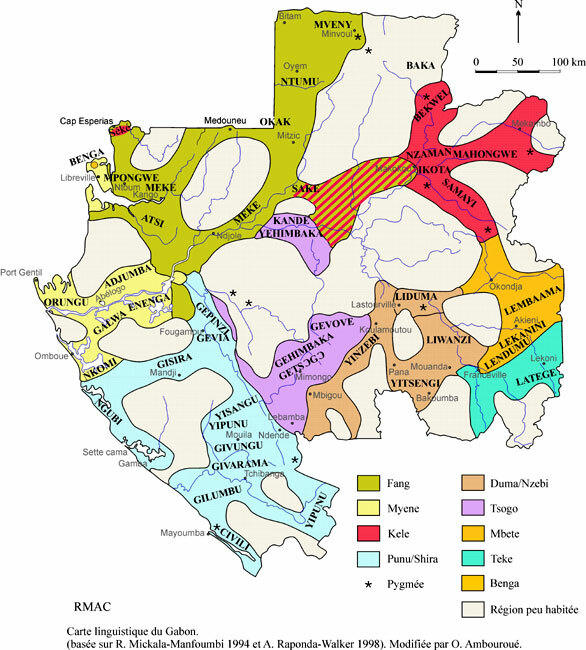 Southern Gabon also used to be part of the Loango kingdom, but most likely only few slaves from within Gabon were exported as this country still is nowadays very thinly populated and heavily forested. This also goes for Congo Brazzaville btw. Combined these two countries have barely seven million inhabitants while Angola alone already has about 25 million and the DRC has over 70 million! (source). Still there are some historical references on Gabon slaves in Brazil i will blog about later on. Also they might have had a disproportional presence among the slaves brought over to São Tomé. It is interesting to me that there is place called Loango in Alabama. “Loango is an unincorporated community in Covington County, Alabama, United States.